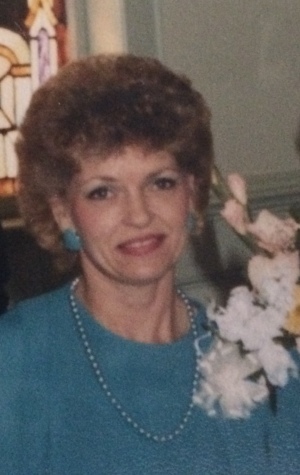 Obituary for Mary Ann (Hayden) Hyde | Thompson Funeral Home, Inc.
Mrs. Mary Ann Hayden Hyde, 74, of Orangeburg passed away on Thursday, March 28, 2019. Funeral services will be held at 3:00 P.M. on Saturday, March 30, 2019 at Thompson Funeral Home Chapel in Orangeburg. Burial will follow at Memorial Park Cemetery in Orangeburg. Rev. Bob Morris will be officiating and will be assisted by Dr. Kimmett Lott. The family will receive friends from 2:00-3:00 P.M. on Saturday, March 30, 2019 at Thompson Funeral Home prior to the funeral service. Pallbearers will be Joseph Browning, Jeffrey Browning, Corey Browning, Danny Smoak, Sam Goff and J.W. Smoak. Mrs. Mary Ann was born on June 30, 1944 in Orangeburg. She was the daughter of the late David Hayden, Sr. and the late Mary Estelle Galloway Hayden. She was preceded in death by her husband, Norman Hyde; sister, Carolyn Myers and a brother, David Hayden, Jr. Survivors include her sons, Stephen Hyde of Orangeburg, Timothy and Rhonda Browning of Orangeburg; grandchildren, Joseph Browning, Jeffrey Browning, Corey Browning, Caitlyn Hyde; brothers, Wayne and Pretto Hayden of Branchville, Maxie and Cynthia Hayden of Georgia; special cousins, Linda Malone, Reba Bair and four step-sons. The family would like to give a special thanks to Dr. Vann Beth Shuler for her help and support as well as the Methodist Oaks for the great care that they gave Mrs. Mary over the last seven years. In lieu of flowers memorials may be made to the Greenville Shriners Hospital C/O Edisto Shrine Club at P.O. Box 831 Orangeburg, S.C. 29118.